US News & World Report, an authority in global education rankings for over three decades, recently announced its 2018 Best Global Universities. America once again leads the rankings, with 221 US universities making the overall list. But what is truly noteworthy is that China claims the second-most number of ranked education institutions (136) out of 1,250 schools on the list. Among the new rankings, Tsinghua University (in Beijing) and Peking University (in Beijing) were nominated as the top 3 and top 4 universities in all of Asia. Indeed, with the rapid development of the Chinese economy and massive improvements in its education system, a growing number of foreigners are considering pursuing higher education or participating in exchange programs in China. So which Chinese universities enjoy the most excellent academic and research reputations globally? And how can foreigners benefit from studying abroad in China? 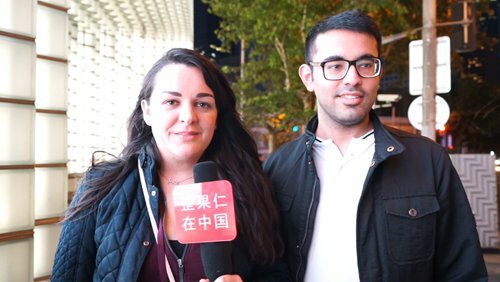 The Global Times speaks with several foreigners in Shanghai for some insight into this phenomenon. The Chinese universities most known by our interviewees are of course among the top-tier of all institutions. 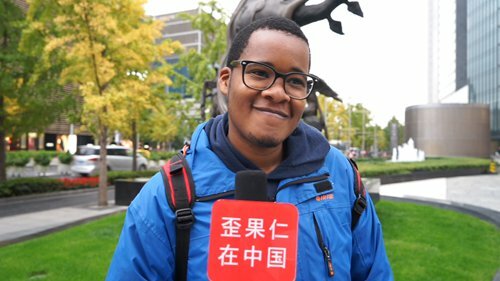 Kabelo from South Africa said he has heard of Peking University and Tsinghua University, while Aditya Guglani from India said he knows of Zhejiang University, in East China's Zhejiang Province. Sofia Pinzoh from Colombia is doing her master's program at the University of Shanghai for Science and Technology, but heard great things about Fudan University prior to her arrival. Dzintars from Latvia also knows about Fudan and Shanghai International Studies University. Gil from the US is doing his master's program at Fudan, but is also aware of the excellent reputation of Peking University in Beijing. Indian Shishir Kumar is working in Shanghai and says he has heard of Donghua University, Shanghai Maritime University and Fudan University. Two foreign students paint Chinese fans during a cultural festival for foreign students held at Donghua University in 2016. Some interviewees said they have noticed an increasing number of people in their country coming to China specifically to study. 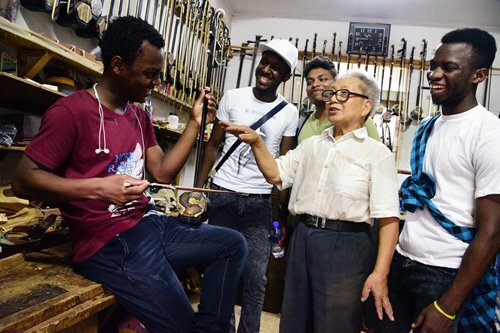 "This is partly due to the Confucius Institutes," Kabelo from South Africa said, explaining that his hometown institution, the University of Cape Town, granted him an opportunity to travel to China through education. Likewise, Kumar pointed out that a growing number of Indian students plan to come to China to study, especially in medical majors. 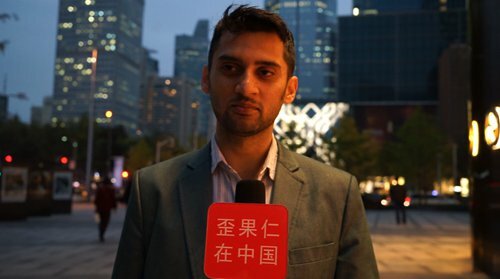 "I have seen my countrymen coming to Nanjing and Guangzhou to study medicine," he said, adding that Indian students in Shanghai seem to be here on Chinese language programs. Gil said that the popularity of learning Chinese continues to grow in the US, where an increasing number of Americans are becoming more familiar with China and its education system. But other interviewees pointed out that China's undergraduate degree programs are less popular with foreigners. "A lot of people come here to study Chinese, that's the most popular thing," Pinzoh said. "But doing undergraduate here is a bit less common." Similar ideas were echoed by Guglani, who said he has seen many people come to China for a semester exchange or summer program, but not for an actual degree. But many interviewees said if they were given an opportunity to get their degree at a Chinese university, they'd choose business-related majors. "I think I'd major in international business, partly because China has expanded rapidly, and it is obviously the engine behind global economic growth," Kabelo told the Global Times. Gil, a business major, said that, "The reason I chose business for myself was because it's a very wide topic. So I can make it into however I want to do something in the future, anything useful." Kumar said he would love to learn Chinese language at a Chinese university, as Putonghua is becoming globally accepted. "It is in demand everywhere. Wherever you go, you will find Chinese suppliers, Chinese students and lots of business being done with China," he told the Global Times. But Guglani said he'd prefer a computer science, statistics or mathematics program in China, where students tend to excel in these subjects. Dzintars said he works in a creative field and would choose a design-related field in China. "But I am sure lots of people come here also for business-related management and international relationships," he added. When foreigners finally choose a Chinese school to study at, what factors matter most to them when making their decision? Kabelo said he cares most about a university's global ranking and which city it is located in, as he prefers places with a large foreign community. 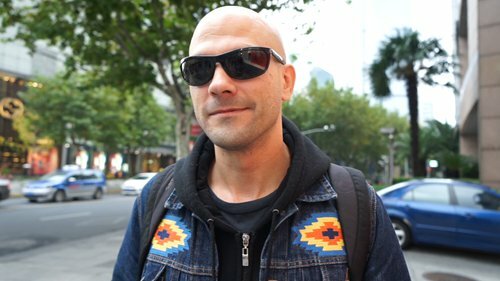 "So I'd definitely choose a city like Shanghai, because there are lots of expats here." In comparison, Gil from America said the cost of tuition and the school's global reputation are key things to consider. When choosing a Shanghai university for his master's program, he read up on all the programs being offered and their prices before narrowing down his choices. And yet, most of our interviewees agreed that, regardless of which school they selected, learning Chinese language and studying the culture were imperative to their success here. Guglani, for example, said Beijing and Shanghai are very multicultural, which helps students get exposed to other cultures, especially Asian, though it may make immersing one's self in the local language more difficult. Other interviewees were more attracted by Shanghai's vast opportunities. "There is lots of potential here, lots of business potential and lots of individual growth," Kabelo told the Global Times. Dzintars said studying in a fast-paced Chinese city like Shanghai is a good way to expand one's horizons. "It kind of puts you in a bigger, more open playing field. A lot of opportunities open up if you study in China," he told the Global Times. For Gil, who is interested in business, studying in China allows him to see firsthand how business is operated here, which he has found to be very different from the West. By learning businesses in both countries, however, he can combine both of their advantages and apply that toward his future career. So what can China do to attract more foreign students? Columbian national Pinzoh said Chinese universities ought to offer more courses in English if they hope to lure more foreigners. "There are very limited options for English courses here. Like, starting engineering in Chinese is impossible for me," she said. Latvian Dzintars and Indian Kumar said China should probably make its visa policy for foreigners easier. "Because there is too much paperwork to do and there are quite a lot of restrictions," Dzintars said. "If you make it more accessible, people will feel less discouraged." Kumar added that Chinese universities should make the admission procedures less complicated. "When applying online, the steps should be easier for foreign students," he said. Guglani pointed out that Chinese universities don't do enough marketing toward foreigners. "Many foreigners don't even know about China's best schools. 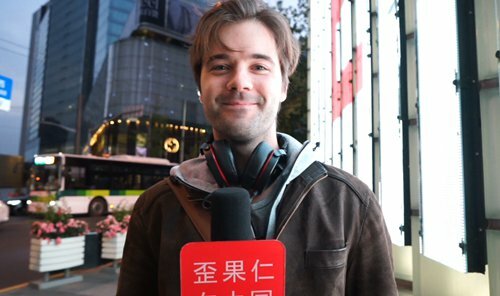 Some of my friends here are computer science undergraduates at the best Chinese schools, but outside China I think very few people know about those schools." Some interviewees also suggested that Chinese universities need to provide more suitable dormitory conditions and more international food options for foreign students. Pinzoh, for instance, said her university canteen offers many Chinese dishes, but she never eats them because she feels the food is too greasy and oily. Instead, she just dines at restaurants along Fuxing Road. In terms of dorm life, Kabelo said he personally prefers a private room or apartment, because the idea of several roommates in one room having to share everything together, which is the way most Chinese college students live, is off-putting to him. Similar sentiments were echoed by Pinzoh, who "would never" live in a Chinese dorm. "There are like six people all in one room, and only one bathroom per floor. I think that is not an ideal situation," she told the Global Times.